Years of trouble plaguing Washington, DC’s WMATA reached another crescendo earlier this week when one person died following a smoke incident aboard a yellow line train. Carol Glover succumbed to smoke inhalation after rescuers took over 40 minutes to reach a train stranded in the tunnel only a few hundred feet from L’Enfant Plaza, and over 80 other passengers were hospitalized. For an agency plagued with operations issues, safety concerns and very tight finances, it was yet another reminder of the WMATA’s precarious position. According to preliminary reports out of DC and the NTSB, the incident involved an electrical malfunction inside the tunnel, and while firefighters responded, according to DC’s mayor, “within the time frames that are customary,” they waited to enter the tunnel. The delay proved deadly for Glover, and footage from the incident shows a dark and disabled train filled with smoke. It was a tragedy that creates its own bad press. In an informal Washington Post poll yesterday, nearly half of respondents said they would reconsider how often they ride Metro. Variants of “I’m done with Metro” proliferated on Twitter. It’s a sensible enough position. Metro has a reputation for shoddy service and a history of not learning from its mistakes, including with this incident, apparently caused by an “electrical arcing event” of the sort that has routinely plagued the system of late. Why should we reward such a poorly run enterprise with our business, or place our lives in the hands of a system we can’t trust? The fact is, if we want Metro to work better, we have to ride it more. 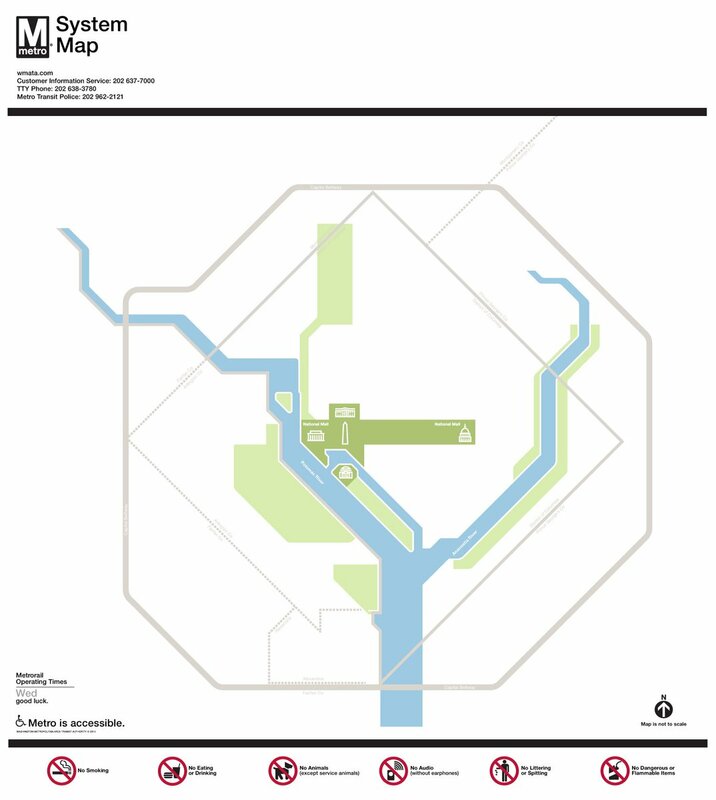 Nearly 60 percent of Metro’s daily operational costs are funded by fares and other revenue. And that revenue is threatened. Ridership dropped slightly during the recession, then suddenly plummeted in the past two years, down to 2005 levels. There are a number of factors—more people are telecommuting or getting to work by bike or bus—but the effect is clear. Fewer riders means bigger fare hikes to cover costs, which in turn will likely mean fewer riders. It’s a vicious cycle we don’t want to get caught up in. As Wiener explores, for some reason, ridership on the Metro has cratered over the past few years, and it’s now at 2005 levels. 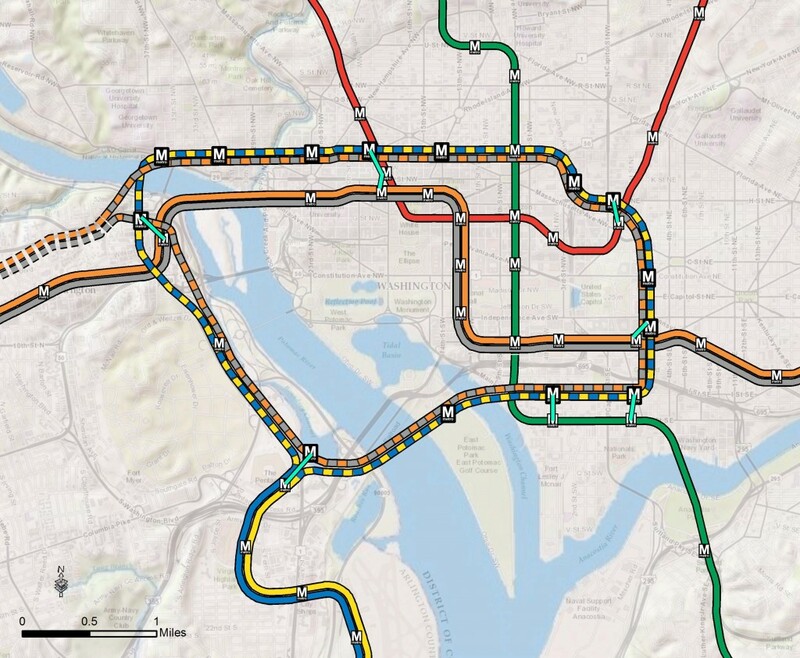 The WMATA is facing a multi-billion-dollar budget gap that makes the MTA’s fiscal difficulties look like pennies, and it can’t drum up consistent support for the politically schizophrenic Maryland and Virginia suburbs. It’s the MTA’s worst case scenario writ small. A new, peer-reviewed academic study published in the Journal of Public Transportation casts light on the first point. It reports that the rate of passenger fatalities in cars and light trucks is 30 times as high as for travel by subway or light rail. It was based on data in the United States from 2000 to 2009. Even with these numbers, without the culture of safety, passengers are not comforted by statistics. Metro needs to realize a new culture without enough fiscal or political support. Here, in New York, the MTA is working to do something similar, but they don’t have nearly the same track record of mistakes to overcome. If we aren’t careful, though, DC serves as a lesson. It’s New York’s dystopian transit future if no one takes care of the system. Every few months, another transit agency comes out with a proposal to generate revenue through naming rights, and every few months, I sit back and shake my head. The money and the interest just hasn’t materialized yet, and while its time might one day arrive, selling naming rights is much more of an idea in theory rather than practice. This time around, Boston is going to learn this lesson. Up in Beantown, the MBTA has some ambitious expansion plans on the table. Using DMUs, the transit agency hopes to drastically expand its reach over the next ten years and will of course need money to do it. One way to generate funds could be through naming rights, and although the MBTA has been talking about naming rights for nearly a year, the agency seems ready to try to draw in advertisers. For the low, low price of $1 million, corporations and businesses can slap their name on select MBTA stops or stations, or even name an entire rapid transit line after their brand. [A few weeks ago,] the MBTA put out Requests for Proposals for the naming rights on nine stations along the system, which includes Back Bay, Downtown Crossing, Park Street, North Station, State Street, Boylston, South Station, and Yawkey Way. The asking price to add a moniker to each station starts at $1 million per year, except for Yawkey Way, which starts at $500,000. The contracts would last five years. The call for interested companies to shell out cash to rename stops and stations also includes an opportunity to have their name on some rapid transit lines—specifically the Red, Blue, and Green Lines. According to documents, prices vary for each line, but the most expensive starting bid is on the Green Line for $2 million per year. If a company opts to purchase transit line naming rights, they would have their brand printed on station maps, and on system signage. The chance to take over the naming rights of certain MBTA properties, under the “Corporate Sponsorship Program,” was a directive of the state legislature as part of an extensive transportation bill passed over the summer. That last line — that’s the crazy part. In the same bill that will allow the MBTA to run T service later than it currently does, the Massachusetts legislature required the agency to issue RFPs for station naming rights. Agency officials still believe naming rights could generate upwards of $18 million for transit, but so far, the grand total has been a whopping $0 in revenue after two years of searching. According to the MBTA’s RFP, advertisers could host promotional events in their stations, have their brand broadcast via the subway’s PA system and have their logos appear on the T subway map. Rightly so, though, station names would retain their geographic identifier while adding the advertiser much as the MTA has done with Atlantic Ave./Barclays Center. On the one hand, it’s admirable for the MBTA to try, and maybe they can be the ones to succeed. On the other hand, it seems like these efforts have been a waste of time and money. SEPTA in Philadelphia has managed to sell one subway station, and even the MTA hasn’t been successful here in New York. Furthermore, the MBTA is asking for an annual fee that’s five times what the MTA received from Barclays for stations that have, at most, two-thirds the ridership of Atlantic Ave. Many have much less than that. Overall, the idea of corporate naming rights as a revenue generator seems to have peaked. The Nationals’ baseball stadium in DC, for instance, has gone without a corporate sponsor for nearly a decade, and Met Life paid only around $1 million per year to name the new Meadowlands stadium. As skeptical as I am, though, if the MBTA’s legally-required due diligence leads anywhere, it will have been worth it. As my Brighton Beach-bound B train departed DeKalb Avenue last night, the conductor mangled the next stop. “Barclays Center, Atlantic-Pacific,” he said, promoting the corporate sponsorship while restoring the station complex’s former name to what many consider it to be the rightful position. I chuckled at the name and realized that $200,000 a year doesn’t go that far. It is but a drop in the bucket as far as the MTA’s bottom line is concerned, and yet it seems to represent the pinnacle of subway corporate sponsorship in New York City. Now, in this age of transit austerity, naming rights and creative corporate partnerships seem to be the ideas that just won’t die. Every now and then some state legislature is urging his or her local transit agency to go out and find some corporate sponsors. They wonder how hard it can really be. After all, sports teams and non-profits do this all the time. If only life and the advertising industry were that easy. Transit agencies though do not carry positive connotations as sports stadiums do. People scorn the subways and look down upon the MTA. Thus, transit naming rights are a delicate matter for any corporation, and the executives in charge know it. Barclays was willing to pony up the bucks because the arena is a destination atop the old Atlantic Ave./Pacific St. station. For everyone else, the equation tilts toward no investment. That said, the effort to secure these dollars goes ever onward. Yesterday, the Madrid Metro announced a three-year, €3 million deal to rename an entire subway line for Vodafone, the European cell phone carrier. As part of the agreement, all signs and maps in the system’s 272 stations and 2311 cars will include the Vodafone logo along with the Line 2 and Sol station names. Recorded announcements will include the name, and Vodafone will earn some display advertising rights in stations as well. For Madrid, this figure represents a 10 percent bump in advertising income, but it’s a modest amount at best. In U.S. dollars, the investment is $1.3 million a year for an entire line that sees 122,000 passengers a day. Still, Ignacio González, president of the Community of Madrid, boasted of the deal, “Naming rights are an enormous source of income for the metro. We have another 11 lines and many more stations to offer.” Enormous is all relative. Closer to home, the Massachusetts Senate wants the MBTA to sell station naming rights, and these politicians seem to think they can out-do Madrid. Their off-the-cuff estimates believe the MBTA can generate $20 million in revenue. It’s unclear over what time period the MBTA would realize should revenue, but this isn’t the first time Massachusetts has pondered such an arrangement. So far, though, no naming rights deals have materialized in Boston, but the politicians press on, undeterred by the fiscal reality. The promise of naming rights revenue, I’ve long maintained, is a false one that allows politicians to shirk on their responsibilities to transit agencies. Instead of finding long-term, sustainable funding sources, politicians point fingers at transit agencies that simply cannot sell undesirable or less-than-lucrative naming rights to their transit assets. Thus, transit systems do not get paid, and transit agencies do not enjoy progressive policies or true investments. Madrid’s $3.9-million, three-year deal should be a warning: The money for transformative transit investments won’t be found in naming rights, and the sooner politicians who control the purse strings come to grips with that reality, the better off the transit riding public will be.